PC with 32 or 64Bit Intel processor. 2 Harddisks (or one hard disk with 2 partitions). 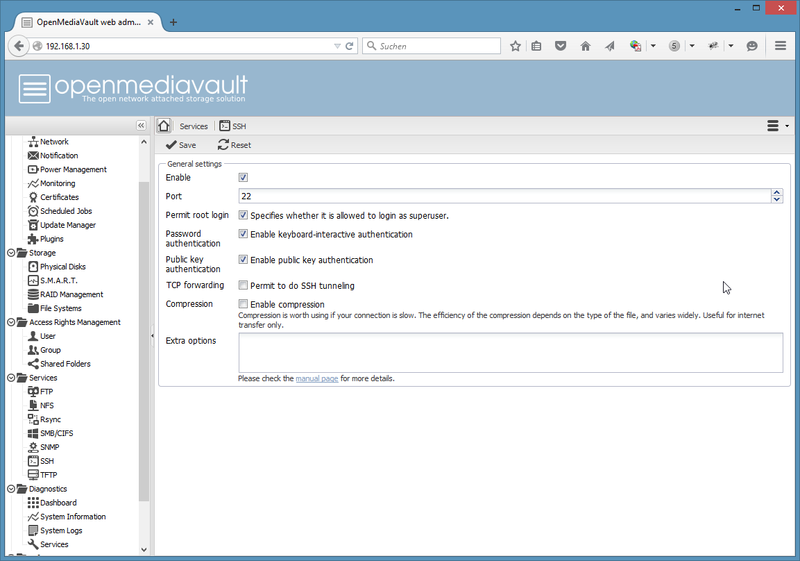 OpenMediaVault requires a separate disk or partition for the OS install and a separate disk or partition for the data. The first step is to download the OpenMediaVailt ISO file from Sourceforge. 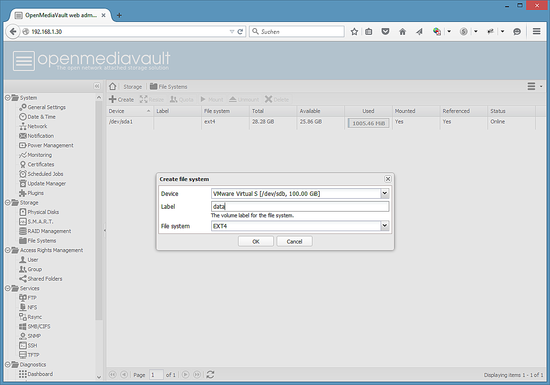 The ISO image can be used to install OpenMediaVault into a virtual machine like VMWare or Virtualbox directly. 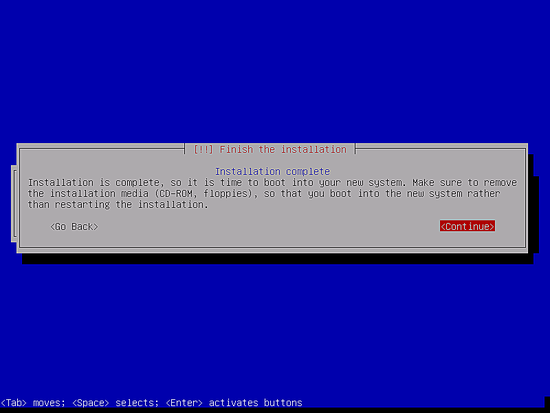 To install the software on real hardware, you need a boot media like a CD / DVD or a bootable USB stick. Burn the downloaded ISO file on a CD or DVD or load it on a USB stick. Replace /dev/sdX with the device name of the USB drive. Please be careful, the dd command can cause severe damage if you select a wrong drive as target. 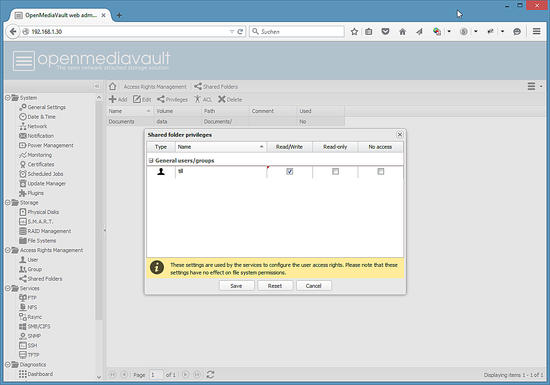 When you downloaded OpenMediaVault onto your Windows Desktop, then you can use e.g. unetbootin to prepare the USB Stick. Insert the boot Media that you prepared for the installation into the PC or Server were OpenMediaVault shall be installed and start or reboot the system. It might be necessary to select the correct boot media device in the BIOS. 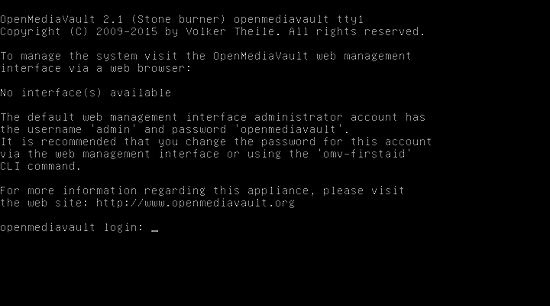 When the System booted successfully you will see the following screen of the OpenMediaVault installer. 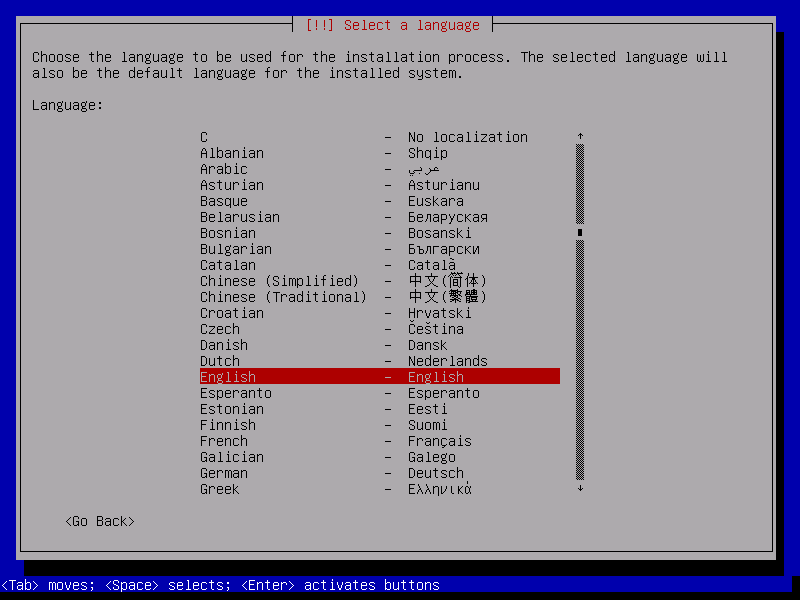 Select the "Install" option and press enter or wait until the installation starts automatically. And your location. The location will be used to define the timezone in one of the next steps and to preselect the keyboard layout. 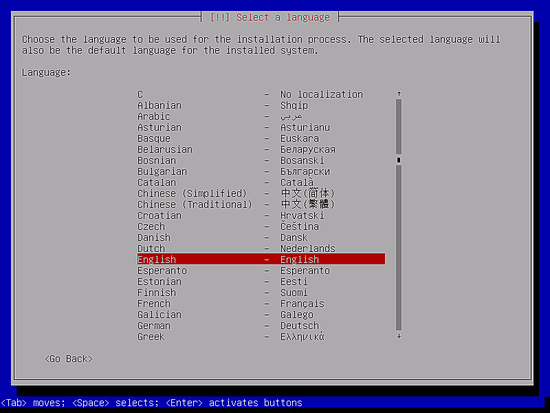 Now select the keyboard Layout. In my case, I'll select "German" as layout and press <Enter>. 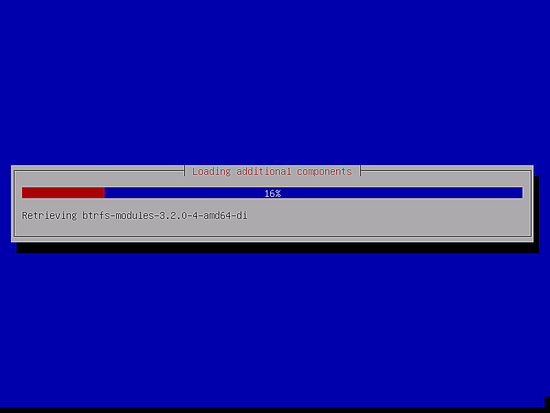 The installer starts to load some additional packages from installation media. 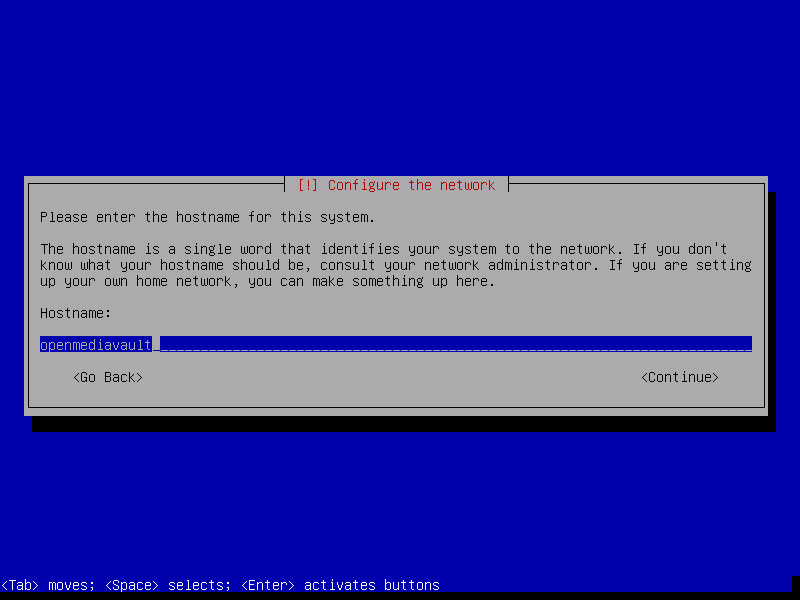 Enter the hostname of your server. 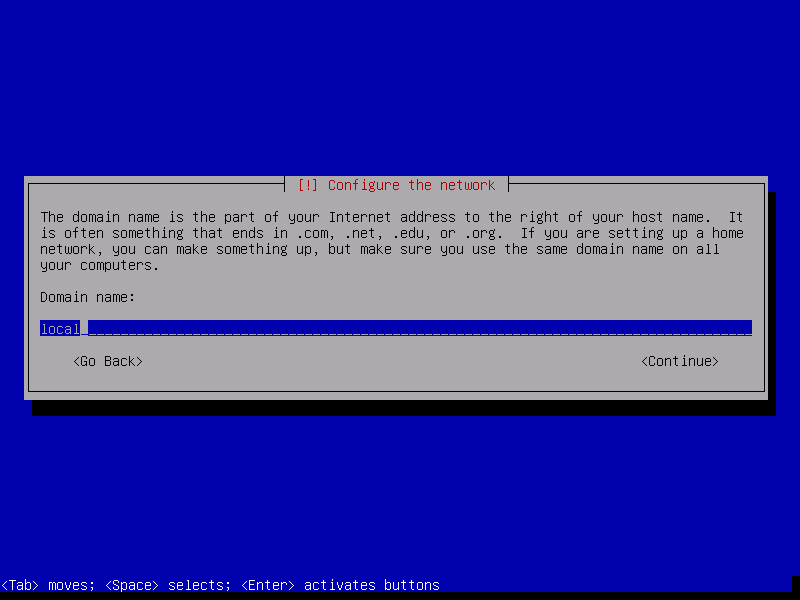 The domain name is requested in the next screen, so the hostname here is the first part of the fully qualified domain name. When the server shall have the fqdn "server1.example.com" then the hostname is "server1". Enter the domain name of the server. 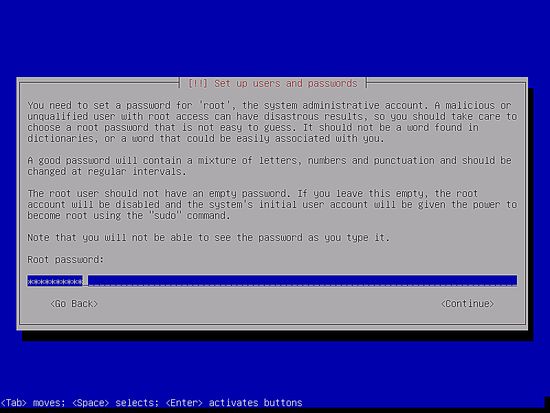 Enter the root password. 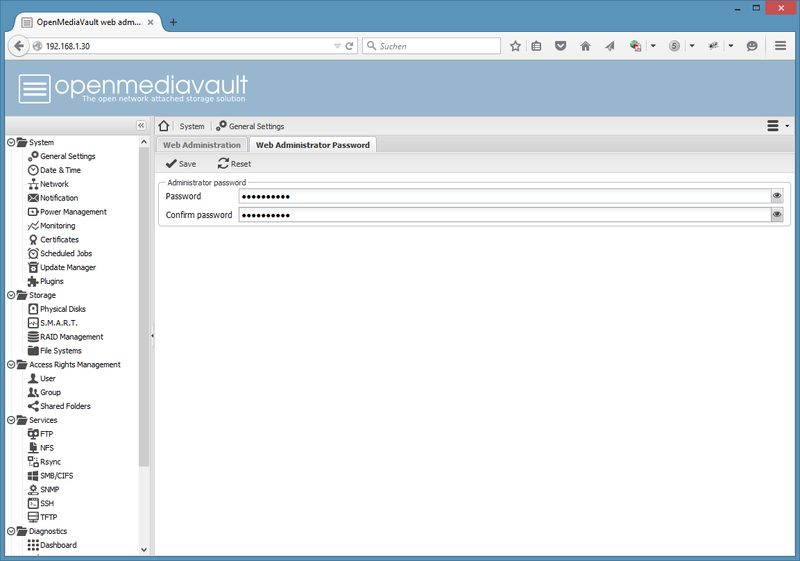 This password is used for the shell login, it is not the password of the OpenMediaVault Web interface. Confirm the password by entering it again in the next screen when requested. Select the server time zone and press <Enter>. The time zone is important for date / time in log files and for the timestamps of saved files. 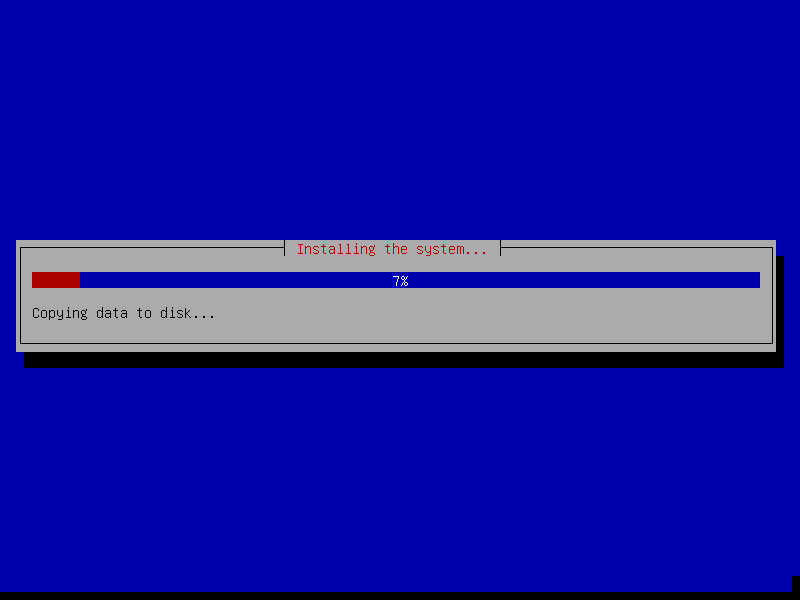 The installer starts to copy the system files to Disk now. 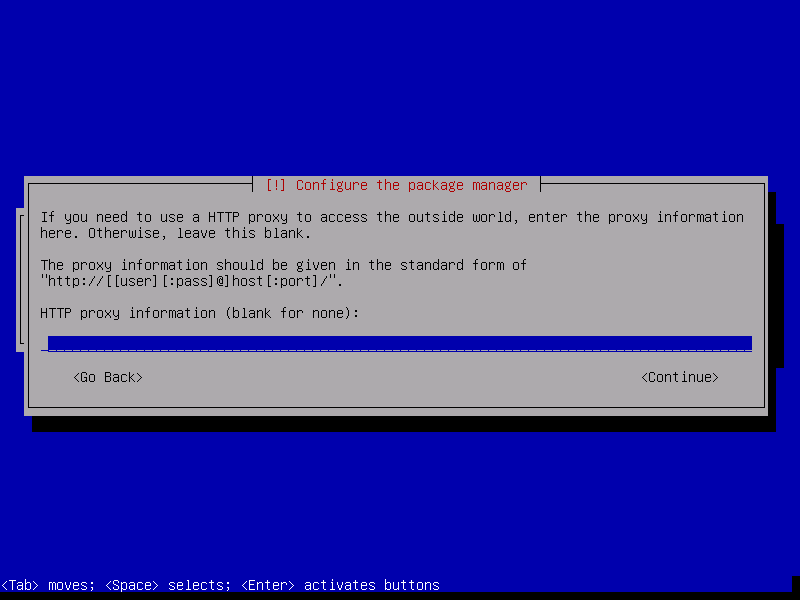 Configure the location from where the apt package manager will load the software packages. Choose a location near to you. 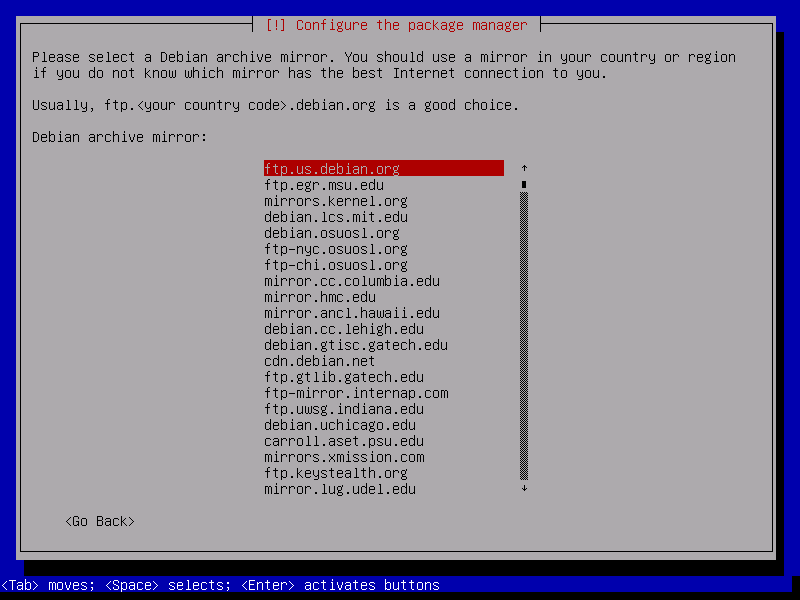 And then select the mirror server. You can just choose the first one if none of the listed mirrors is from your Internet access provider. When you use a http proxy to access the internet, then enter it's details here. Otherwise press <Enter>. Apt will now Download the packages. The installation is finished. Press <Enter> to reboot the server. The Grub boot screen appears. Press <Enter> or wait until it starts automatically. The System ready. 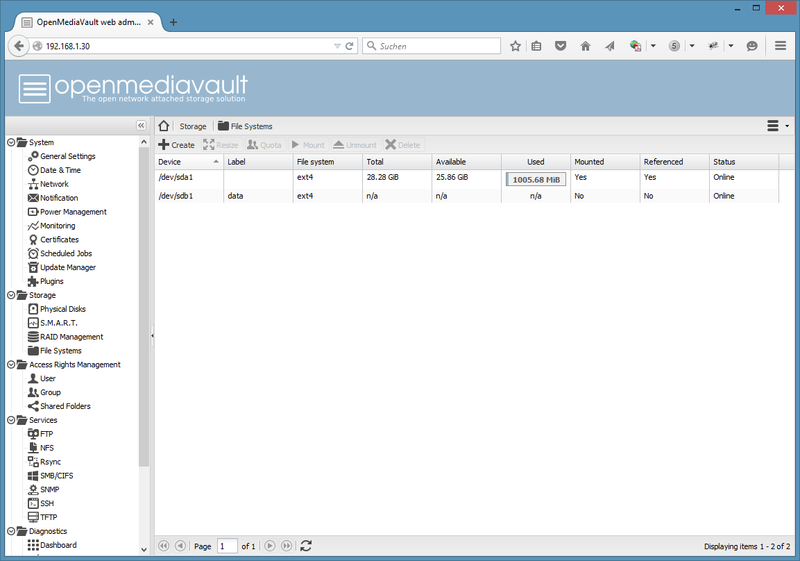 You can now login to OpenMediaVault on the shell as root user or in the Web interface. to get the current IP address. In my case, the IP address is 192.168.1.30. 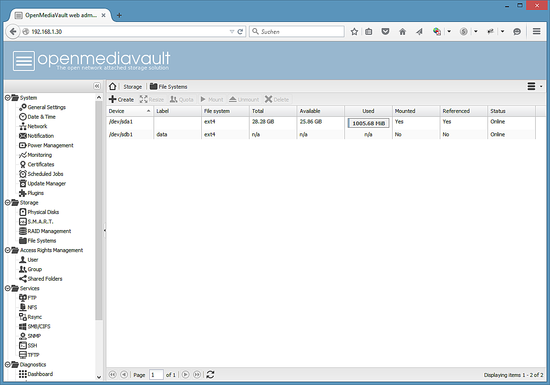 And the OpenMediaVault Admin interface appears. 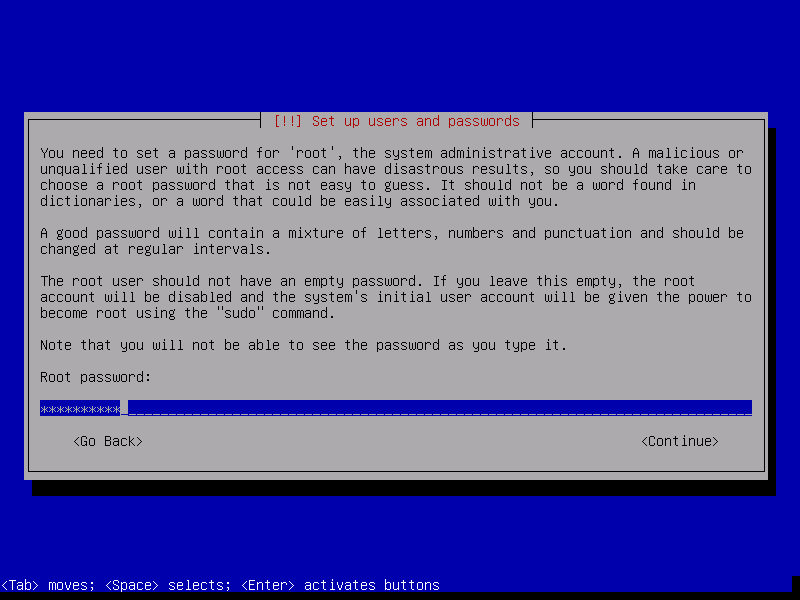 This chapter shows the steps to secure the login, enable an FTP and SMB/CIFS share and how to enable access by SSH. 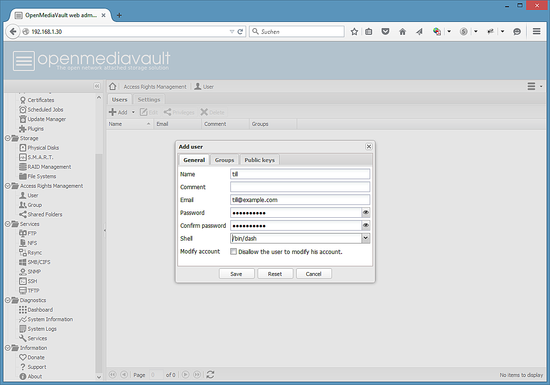 Enter the new password and press on the "Save" button in the upper left corner of the input form. 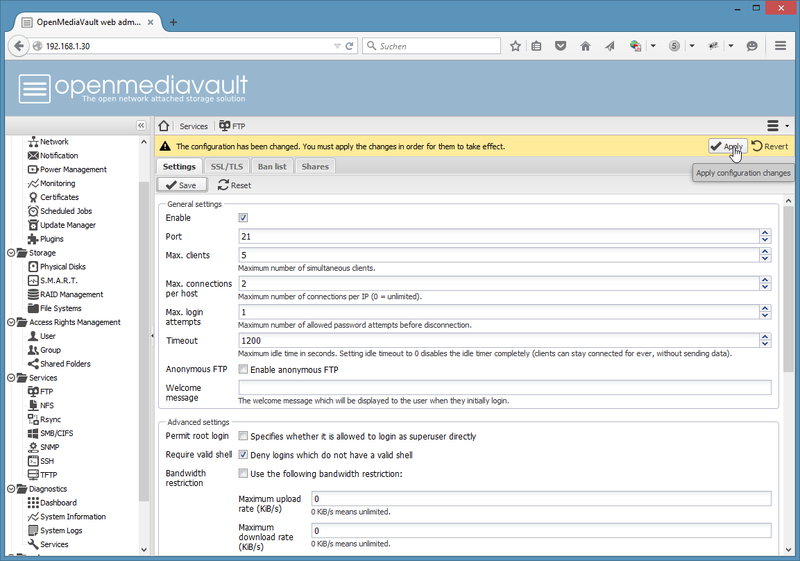 Services like FTP, SMB and SSH are disabled by default. 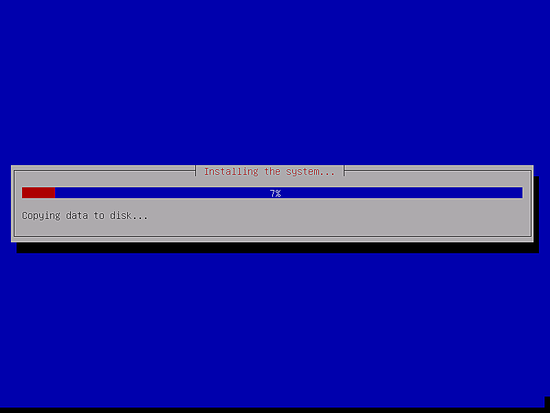 In the next step, I will enable FTP and SMB (Microsoft Windows Share). Go to Services > FTP and enable the "Enable" Checkbox. Press the "Save" button in the upper left corner. And click on "Apply" in the yellow bar that appears above the the form. Finally, confirm that the changes shall really be applied. Now go to Services > SMB/CIFS and enable this service like you did with FTP. 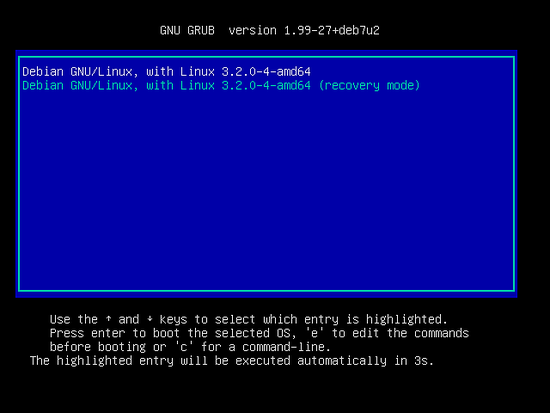 Same procedure for the SSH service. Go to Services > SSH and enable the service. 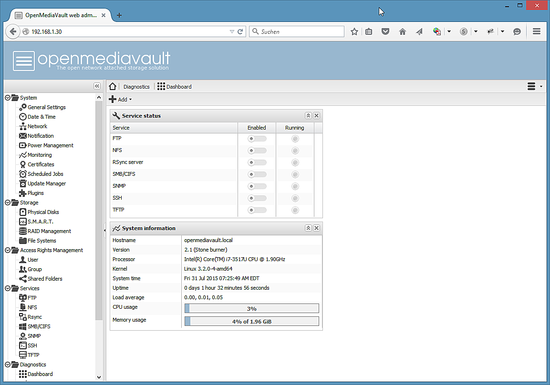 OpenMediaVault needs a separate hard disk or partition to store data (storage volume). In my case, I'll use a second hard disk /dev/sdb. Click on Storage > File Systems > Create to add the second hard disk as a storage volume. The name of tmy storage volume is "data". The final list of storage devices shall look like this. 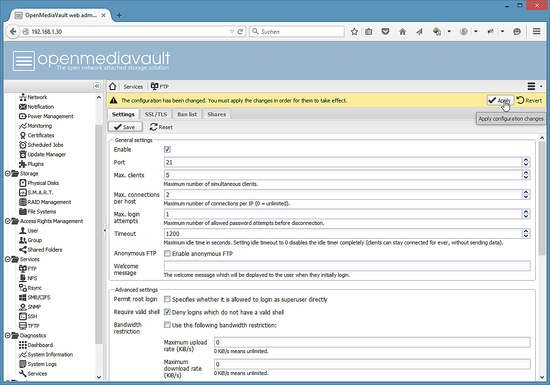 Select the "data" volume in the list and click on the "Mount" button to mount the volume. 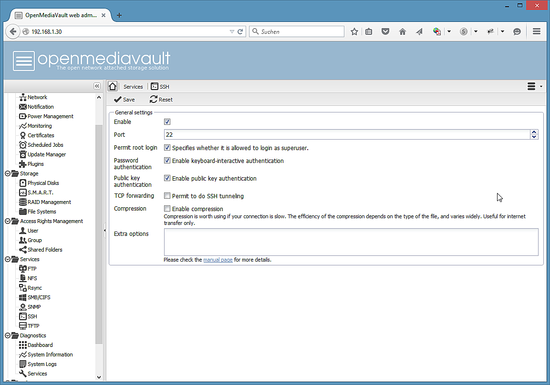 Only mounted volumes will appear as option in the shared folders volume list. 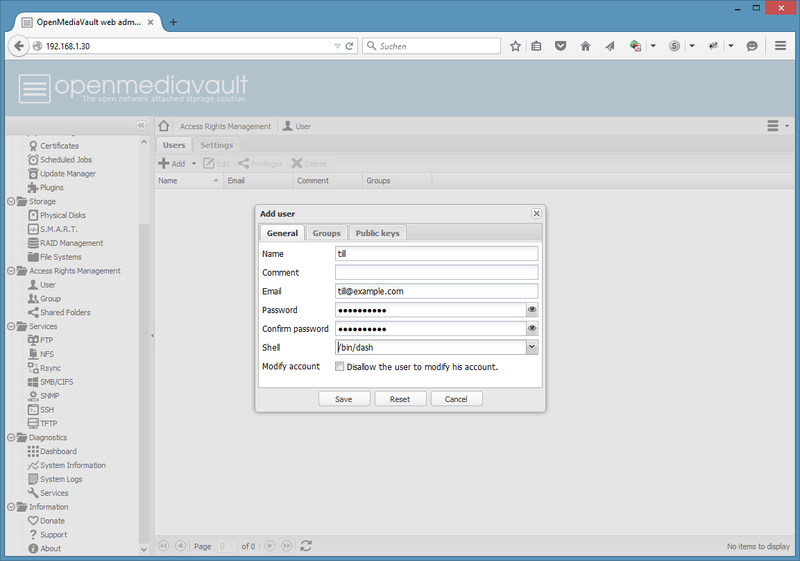 Enter the user details: username, email address, and password. Then confirm the changes. 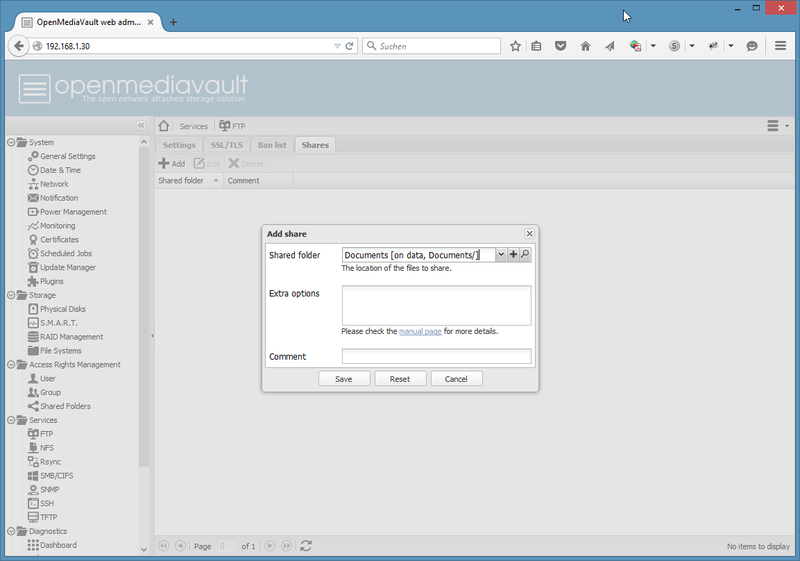 To store files on the NAS drive, we need a file share that can be accessed by our user. 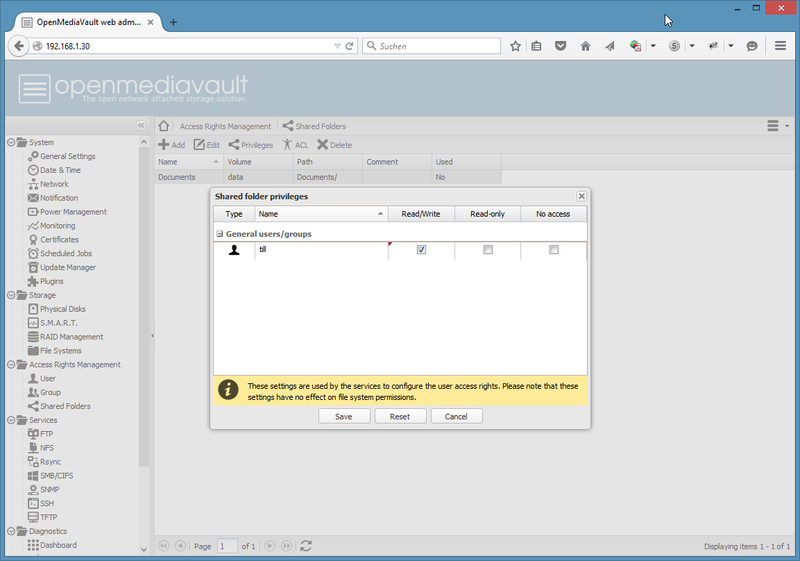 Click on "Access Rights Management" > "Shared Folders" > "Add". I will add a folder named "Documents" with the path "Documents/" on the data volume. The next step is to grant read/write permissions to the user "till". Click on the "Documents" share in the list and then on the Icon "Priveliges" in the menu above the list. 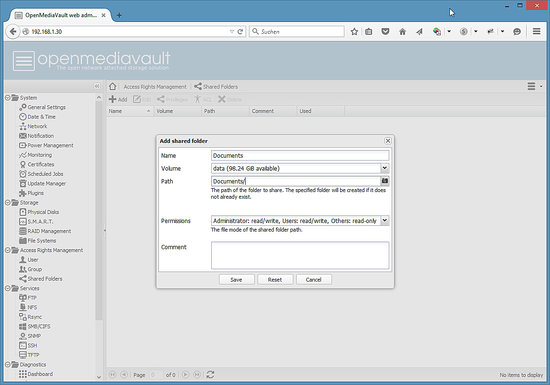 This will open the priveliges Window, enable "Read/Write" for the user and press save. Finally add the share to the services that shall be able to use them. 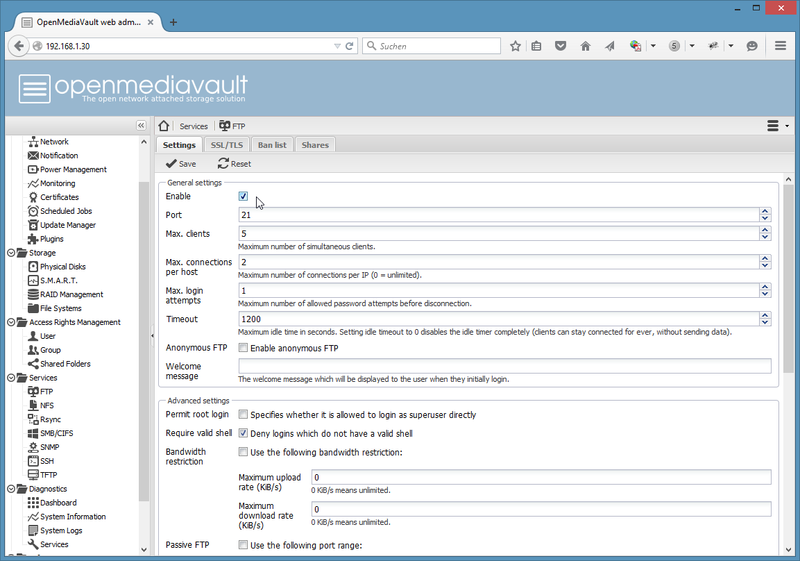 To enable the share for FTP, go to Services > FTP > Shares, Click on "Add", Select the "Documents" share and press save. Confirm the changes. Use the same procedure for SMB/CIFS: go to Services > SMB/CIFS > Shares, Click on "Add", Select the "Documents" share and press save. Confirm the changes. 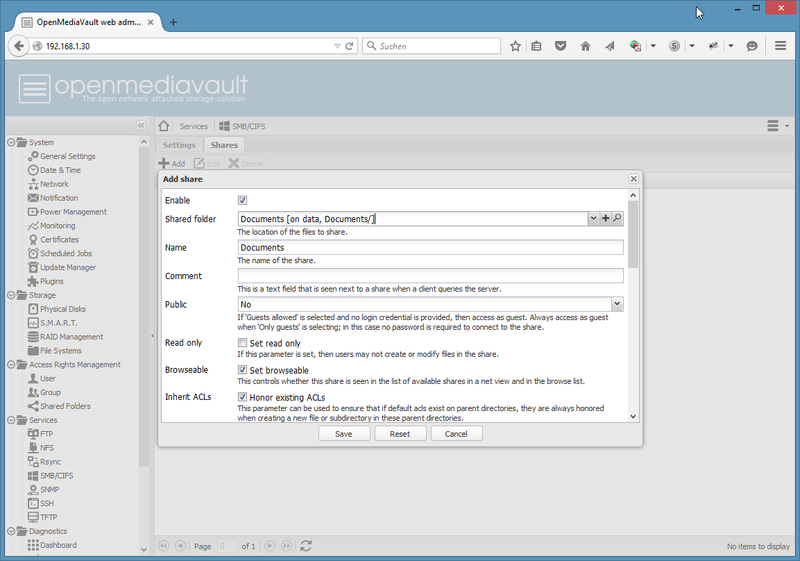 Now you have a NAS device with a Documents folder that can be accessed by your user with FTP and with the SMB/CIFS protocol. 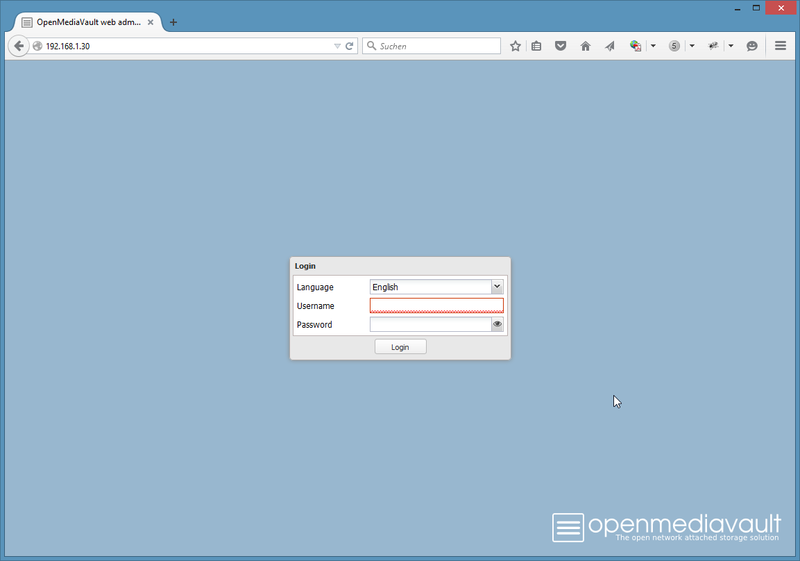 The resulting setup of this tutorial is available as ready to use virtual machine image in ovf format (compatible with VMWare and Virtualbox) for Howtoforge subscribers. Dont forget to change the passwords! Very useful steps. I installed OMV on my laptop. But The files can only be accessible by android apps or windows file explorer. Is there any way to access them using browser interface, like what we can do in case of synology or qnap products? Is there any free os to do so? No, there is no way to access your files over the browser interface. 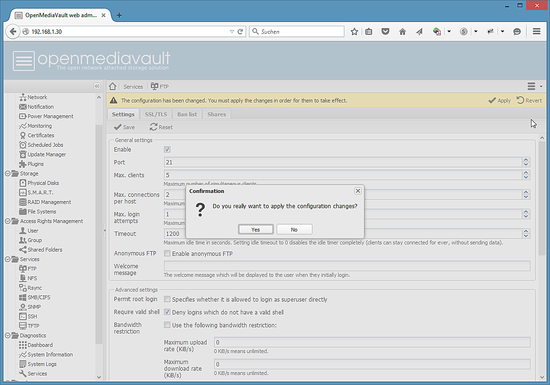 It would be helpful if you posted a howto for creating a bootable USB stick on Macs. The dd command used here works on OS X as well. Root password on the shell: howtoforge on the VM...??? 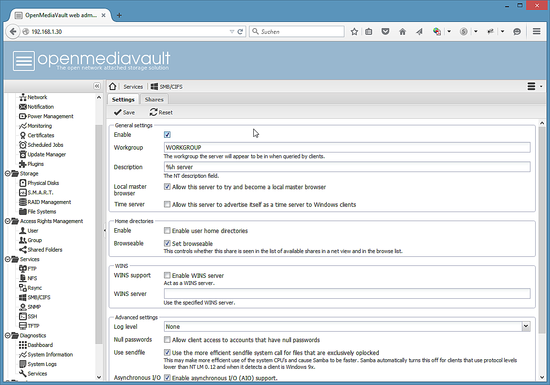 This ore openvault dosnt work. 1. 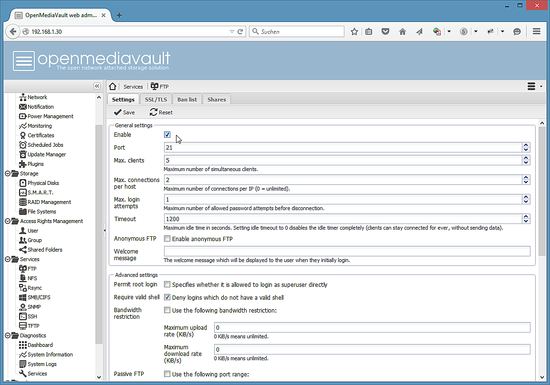 Add the server name as a trusted intranet site in 'Internet Options' in control panel. 2. 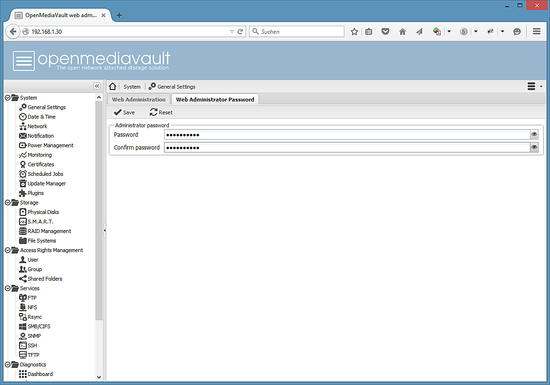 Use the 'Credentials Manager' in control panel to remember the name/pass so I didn't have to enter every time. Thank you for a lucid how-to. As a Linux noob, can you please clarify, if a folder is shared using SMB / Samba as public/guest access, do I need to share it using NFS / FTP also. So do multiple services for access like FTP / NFS / Samba / SMB / Appletalk need to be enabled? Which is the optimal one for a home NAS system accessed by Windows / Apple based users? I can't create a seperate volume. When I click on the button, to select the device, it shows the loading screen and then it closes itself. How can I fix it? ifconfig is deprecated. 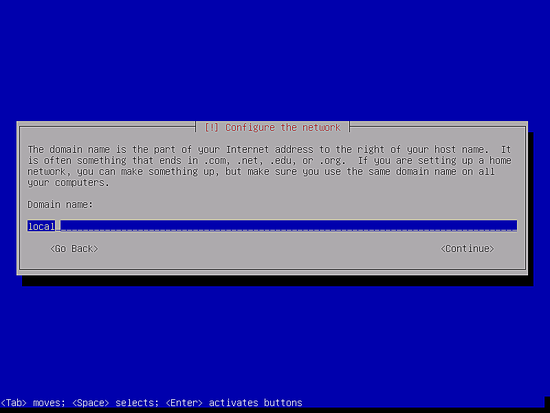 The new Debian command is IP, so "ip address" or the short form "ip a." OpenMediaVault NAS as virtual machine image in ofv/ova format compatible with VMWare and Virtualbox.